Tibetan Dolls & Angels,Online Shop,Buddhist Toys,Buy, Cheap Dolls,Children Play Toys,Prayer Wheels,Indian Dolls,Toys Back-Pack,Online store,Buddha Bazaar.com,Hand made Toys, Prayer Beads, Tibetan Toys, Doll Clothes,Monk Doll,Buddha Doll,Tibet Tales & Stories,Tibet Dolls,Collectables India,Dharamsala,Indian Handicrafts,Dolls. Tibetan Dolls, Indian Dolls and Children Play Toys are an 'instant nirvana' into our own world of childhood innocence. Creating these hand made toys, Buddha Doll, Monk Doll and Indian Dolls, online store in Buddha Bazaar.com India, has been a fruitful journey for, the awakening of the child within us..
Buy Cheap Dolls, Buddhist toys in our Online Shop in Dharamsala Collectables, India, which aims to empower its local artisans by training them in new skills and creating meaningful income and generating joy and happiness for the children. The class room learning of wisdom and skill, has been brought in the .play room doll house. Our Tibet Toys, Indian Dolls and Children Play Toys are exquisitely handcrafted and the fabric print might change in some products. The dolls are child friendly, cuddly and are stuffed with hand-spun pure Himalayan wool., yarn and re-cycled fabric. Each doll, has its own distinctive personality, bringing alive the Legends of the Mountains. The toys of Buddha Bazaar will light up your child's play room with the fantasy of magical tales and help him in having a vision of the world. Welcome to the fantasy world of Tibetan Dolls, Tibet Tales & Stories, Himalayan Angels, Tibetan Toys, Doll Clothes, Enchanting Prayer Wheels, Magic Prayer Beads and Toys Back-Pack adventure.Aworld of Global friends. This year choose a unique gift for your little one ! * All Children Play Toys & Dolls in Buddha Bazaar Online Store are 'Collectables', from 'Indian Handicrafts' displaying, Local India Art & Craft in Himachal Pradesh. * We accept All major International Credit Cards, Debit Cards, ATM , Bank Cards, Net Banking and Mobile Payment along with Paytm.. 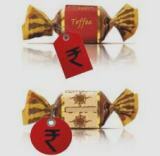 The Indian Rupee price, will be automatically converted in the currency of your card. * For a quick preview of the price in your local currency you can use the Currency Convertor given with each product on our Buddha Bazaar Online Shop. 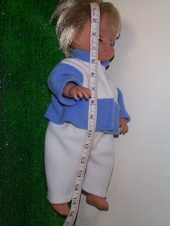 To picture the size of your Doll..refer to our *'how big is my Doll..?' side column...! * Enjoy Shopping in India from around the Globe ! 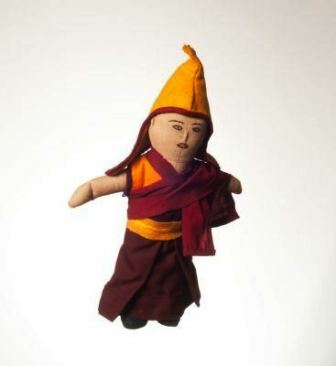 TIBETAN MONK DOLL- KARMA, FROM AMDO IN TIBET. Karma, is a Tibetan Buddhist monk doll dressed in traditional monastic attire. Handmade with cotton it is stuffed with hand spun yarn and fabric. 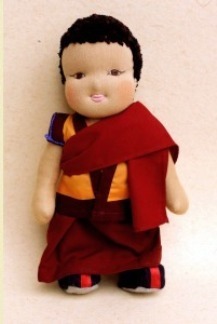 Favorite in our Tibet dolls, it comes with a toy prayer wheel and a Jataka Tale. Tibet Doll Karma, the Buddhist Monk was born in Buddha Bazaar as per his wish, in his previous life to be with children. He loves to rotate his prayer wheel and the 'Jataka Tales' of Buddha. Size: Height 36 cms, Handmade in India. Maintenance: Gentle Handwash n Dry, The clothes can be changed and handwashed. *Additional outfits and back-pack can be purchased on the accessories page. 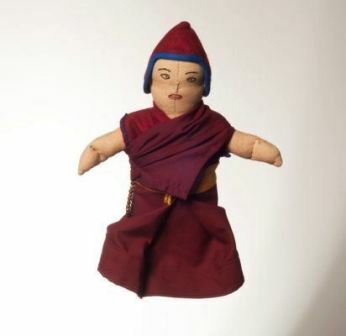 Lobsang is a young Geshe Monk Doll in our Buddha Bazaar monastic section. Handmade with cotton it is stuffed with hand spun yarn and fabric. He always wears his yellow cap. He loves the Buddha mantra and prayer. He comes with his own mini prayer beads. 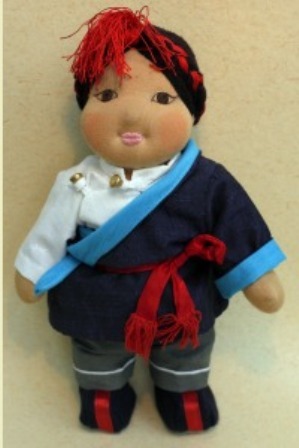 Buddhist Monk Doll Lobsang studied in Bhutan in a monastery. He came to Dharamsala with his parents and loves to prayer in Buddha Bazaar. Size: Height 25 cms, Handmade in India. Maintenance: Gentle Handwash n Dry. *Additional outfits can be purchased on the accessories page. Sonam is a Buddhist Nun Doll from Kinnaur Monastery in Himachal Pradesh India. Handmade with cotton it is stuffed with hand spun yarn and fabric. As per their monastic tradition she practises Buddhist prayers on her mini prayer beads which she always carries with her. Buddhist Nun Doll Sonam studied in Kinnaur Valley of Himachal Pradesh India in a monastery. She comes with her own mini prayer wheel and Tara mantra. 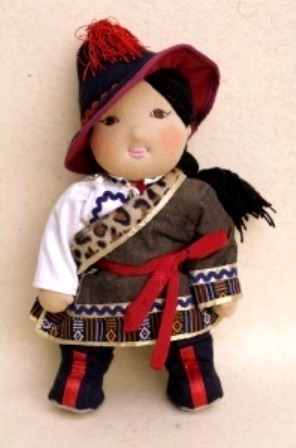 TIBET DOLL- NORBU, FROM AMDO IN TIBET. A favorite among our children play toys in our online shop, Buddha Bazaar..Norbu, a nomad boy , hails from North Eastern Tibet. As most colorful in our collectables of Indian Handicrafts, Tibet dolls, he is dressed in traditional Tibetan doll clothes. He is wearing a smart shirt, trousers, felt boots and an outstanding chupa coat, edged with fur and typically tied with a red silken belt. Tibetan Doll Norbu, is the only child of his nomad parents from Amdo. Norbu loves to play with other tibetan toys and Indian dolls in Buddha Bazaar. He wants to travel with you and see the world. He comes with his own back-pack. TIBET DOLL- DOLMA , FROM KHAM, EASTERN TIBET. Dolma, is an attractive Khampa girl from our Eastern Tibet Dolls Collectables. She has a fringe and two small beaded plaits in front of her otherwise long loose hair. 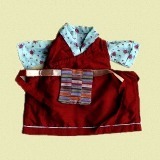 Her traditional chupa coat is trimmed with exquisite brocade and adorned with a colourful apron. She wears a flowery shirt, trousers and typical Tibetan felt boots. Tibet Doll Dolma, lives in Dharamsala where she came with her parents from Tibet. Among the toys in Buddha Bazaar, she is a colorful handmade doll of Indian Art n Craft. She loves Tibet Tales & Stories and comes with a small Story Book. 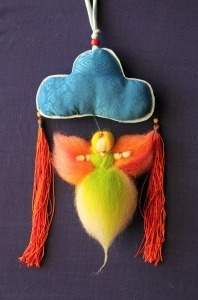 HANDMADE TIBET TOY - DAWA , FROM CENTRALTIBET. Dawa is a Tibetan Boy doll in Buddha Bazaar in Dharamsala India. His hair is plaited and interwoven with red silken threads in traditional buddhist style. He wears a smart chupa coat tied with a red silken belt. Tibet Doll Dawa came to Dharamsala with his parents. He loves to learn different languages. He has a small alphabet book which he reads everyday. HANDMADE TIBET TOY - PEMA , FROM TIBET. Pema, is small Tibetan girl doll, unique in our doll house collection of Buddhist toys. She is dressed in a soft Tibetan dress with a flowery blouse and colorful ribbons in her hair. Tibet Doll Pema, lives in Lhasa the capital of Tibet. She often goes for walks with the Buddha doll and loves to draw colorful flowers with her color pencil box with other dolls. Size: Height 28 cms, Handmade in India. NORTH INDIAN DOLL - TENZIN, FROM LADAKH. Tenzin , is a Indian boy doll from Ladakh, India. Tenzin's’s long plaited hair is interwoven with red silken thread and wrapped around his head in a typically Buddhist fashion, giving his character a unique traditional touch. He wears a simple Tibetan shirt and trendy baggy pants from our exquisite Dolls Collectables of Indian Handicrafts. A Unique product in Buddha Bazaar.com, ideal buy for pocket savvy cheap dolls. Buddhist Doll Tenzin, lives in Ladakh in North India. He loves Indian sweets and likes his parents to buy him from the Market in LEH. GLOBAL FRIEND DOLL - JILL FROM AUSTRALIA. In 100% cotton and hand-spun wool, handmade toy doll in India, Jill is from Australia. Jill has a fringe and long blonde hair whcih can be plaited or untied. She wears an attractive summer top and trendy shorts. Jill, from Australia is visiting other Tibetan Dolls and Indian Dolls in our Children Play Toys Section in Buddha Bazaar. She loves fancy dress shows and likes to dress in Tibetan Doll Clothes, which she carries with her. GLOBAL FRIEND DOLL - JACK FROM AMERICA. Handmade toy from India Play Toys, Jack is from America. He is a cheerful dark-haired boy doll. He wears a simple cotton shirt and trendy baggy pants. Select Indian Handicrafts Dolls Collectables from Indian Handicrafts. Jack , from America is visiting the Taj Mahal in India with other Tibetan Dolls and Indian Dolls in our Children Play Toys Section in Buddha Bazaar. He loves making friends and tying the handmade friendship band which he brings with him.He is learning Hindi. Sonam, is our smiling Tibetan ‘Momo-la’ (grandmother). In our handmade toys, she is exquisite in her fondness for children. Her grey hair is plaited. She wears a traditional silken blouse, doll clothes and felt boots under her simple chupa dress, with a striped apron.Children love her stories! Sonam, ages ago migrated to Buddha Bazaar in Dharamsala from Tibet when HH. Dalai Lama came here. She is eldest among our Tibetan dolls and loves her prayer beads which she carries along with her. Jampa is our charismatic Tibetan ‘Popo-la’ (grandfather). 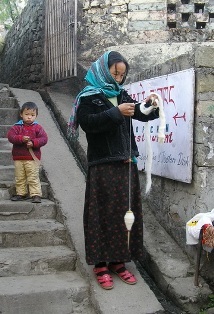 His long grey hair is clasped in a ponytail and interwoven with bright red silk thread – a very distinctive Tibetan style. He wears a smart white silken shirt, trousers and felt boots under his traditional chupa coat from our Indian Handicrafts Dolls Collectables. Tempa, was a farmer in North Tibet. He migrated to Buddha Bazaar in Dharamsala with his friend Karma, the Monk Doll. He loves Tea and listen to all the Toy gossips in the Children Play House. HIMALAYAN CLOUD ANGEL - TINKER BELL. A pastel coloured Angel hangs below a satin blue Mountain cloud, bringing a warm Eco flavour into a child’s play room. Clouds commonly appear in traditional Buddhist Tales & Tibetan Stories, symbolizing good wishes from Buddha Bazaar and the elements of air and wind. Size: Height 18 cms, Handmade in India. 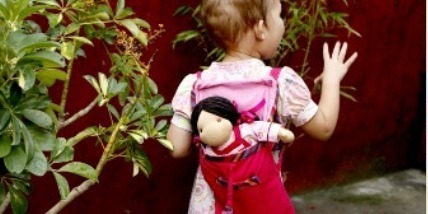 Tibetan Dolls, Indian Dolls,Doll Clothes, Toy Bags n Back Packs..
From Tibetan Dolls return to Home Page..! PAY BY PAYPAL or PayTM..
*For Whole Sale Price..contact us on the above email. 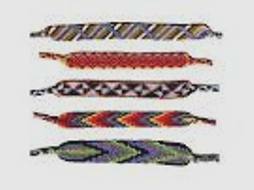 For Tibetan Doll Clothes,Indian Dolls, Toy Bags..Click Graphic. *HOW BIG IS MY DOLL..? Terms and Conditions. Click here !